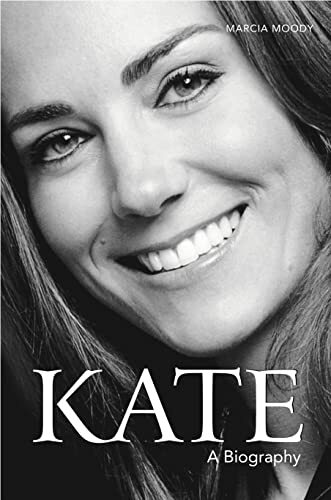 Catherine Elizabeth “Kate” Middleton (born 9 January 1982) married to Prince William of Wales, elder son of Prince Charles, and the late Diana, Princess of Wales. After her marriage, the official title of Miss Catherine Middleton is – Her Royal Highness The Duchess of Cambridge. Born at the Royal Berkshire Hospital in Reading, Berkshire, England, Middleton is the elder daughter of self-made millionaire Michael Middleton (born 1949), who was an airline officer at the time of her birth, and his wife, the former Carole Goldsmith, who was an air hostess. Her parents now own Party Pieces, a mail-order company that sells children’s party paraphernalia. She has a younger sister, Philippa (“Pippa”) and a younger brother, James. Middleton was raised in Bucklebury, Berkshire, in the south of England. She went to St Andrew’s School, Pangbourne until she was 13 and then attended the public school Marlborough College (the same school William’s cousin Princess Eugenie of York attends), where she passed eleven GCSEs and three A-level exams. Like the Prince, Middleton was a student at the University of St Andrews in Fife, Scotland. She graduated in 2005 with a 2:1 (Upper Second-Class) MA (Hons) degree in History of Art. In early 2006, it was rumoured that Middleton intended to found her own mail order company, selling high-end children’s clothes. After a key investor stepped down, however, she decided to hold off on this plan. In November 2006, she accepted a position as an accessories buyer assistant with the British clothing chain Jigsaw. While attending the University of St Andrews in 2001, Middleton met Prince William of Wales. At the time, Middleton was already in her second year at St Andrew’s. Since around Christmas of 2003, she and Prince William were involved in a relationship that has been subjected to intense media attention. The couple were first seen publicly on a ski trip in Klosters in April 2004. During 2005, the British media began speculating that the Prince and Middleton would eventually become engaged. 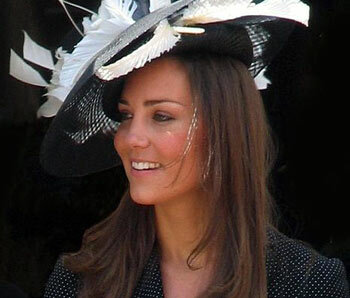 Middleton’s status as the girlfriend of Prince William brought widespread media coverage in the UK and abroad, and was often photographed on her daily outings. On 17 October 2005, she complained through her lawyer about harassment from the media, stating that, she had done nothing to court publicity. In December 2005, the German magazine Das Nee published photos of the exterior of Middleton’s London flat, revealing its location in London. This prompted a security review by police amidst concerns for her safety and a report in the London Evening Standard that Prince William was considering going to the European Court of Human Rights over concerns for Middleton’s and his own privacy. In February 2006, it was announced that Middleton would receive her own 24-hour security detail supplied by the Royalty and Diplomatic Protection Department. This fuelled further speculation that she and Prince William would soon be engaged, since she would not, otherwise, be entitled to this service. No engagement occurred, and Middleton was not granted an allowance to fund this security. In 2007, the couple briefly split after struggling to find time as Prince William pursued his army career. However, they soon came back together. On 16 November, 2010, Kate Middleton and Prince William announced their plans to marry in the new year. 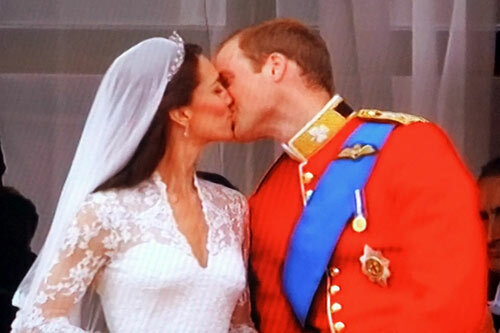 Kate Middleton and Prince William were married on Friday 29th April 2011 at Westminster Abbey, London. Catherine Middleton wore a dress designed by Sarah Burton. The dress was an ivory gown with lace applique floral detail and an intricate train measuring two metres 70 centimetres. Her tiara was a little known 1936 Cartier “halo”. It was loaned to her by the present Queen, a tradition for Royal Weddings. On the morning of the wedding, the Queen gave a new title to her grandson, Prince William – The Duke of Cambridge. They have also been given the Scottish titles of Earl and Countess of Strathearn. The couples third title is a Northern Irish one, Baron and Baroness Carrickfergus. The official title for Miss Catherine Middleton on her marriage is Her Royal Highness The Duchess of Cambridge. After the wedding, the couple intends to continue residing on the Isle of Anglesey in North Wales, where Prince William is based as an RAF Search and Rescue pilot. In late 2012, the Duchess of Cambridge announced she was expecting the couples, first baby. The baby boy, George was safely delivered on 23rd July 2013. On 2 May 2015, she gave birth to a baby girl, named Princess Charlotte of Cambridge. Since the marriage of Catherine Middleton and Prince William, many have remarked that the young generation of Royals have helped to reverse the fortunes of the British Royal family. It has enabled the public to move on from the difficulties of the 1980s and 1990s. Catherine Middleton and Prince William have attended many high profile events, such as the London Olympics, Glasgow Commonwealth Games and the start of the Tour de France in Yorkshire.